Voronich Svetlana Nikolaevna- doctor cardiologist in the clinic (cardiology center) EUROMED in Kiev. .
Doctor-cardiologist of the highest qualification category, conducts diagnostic research, as well as prescribes and controls appropriate treatment for cardiovascular system disorders.Thanks to his extensive experience Svetlana Nikolaevna successfully applies rhythmocardiography, electrocardiography. In addition, it conducts daily monitoring of ECG and BP. He cures arrhythmia, angina, dyshormonal cardiopathy, ischemic heart disease and a number of inflammatory ailments of blood vessels. 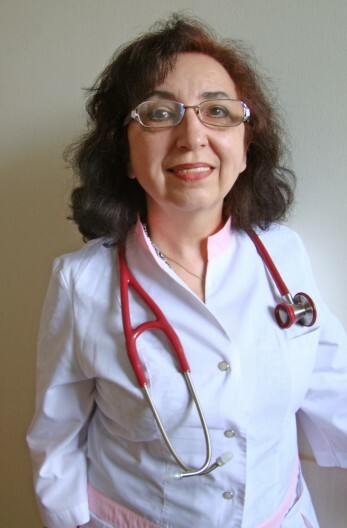 Voronich Svetlana Nikolaevna is the author of printed articles in medical journals in Ukraine, Poland and the USA. In 1986 - the station of ambulance, internship, the city of Kiev. He takes an active part in the associations of the KMN of the cardiology community.